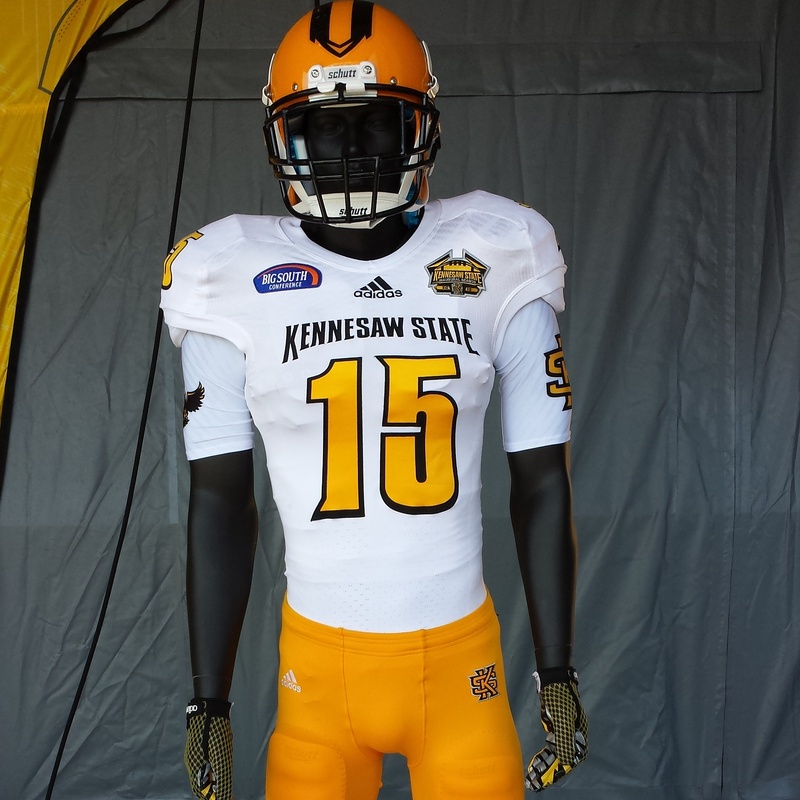 Another step forward in Kennesaw State history was accomplished Thursday, August 28, 2014 when the Athletic Department unveiled the official football uniforms by Adidas. 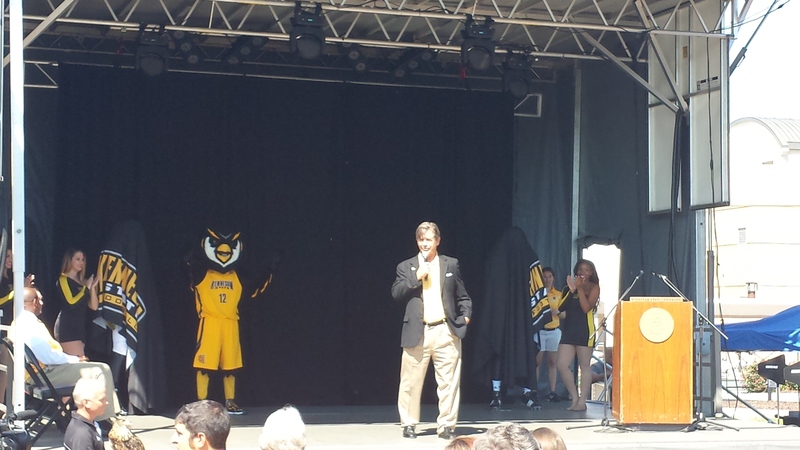 The event was complete with Athletic Director leading the anxious crowd in the Kennesaw State Fight Song. Then a few words from President Dan Papa were offered to thankful attendees. 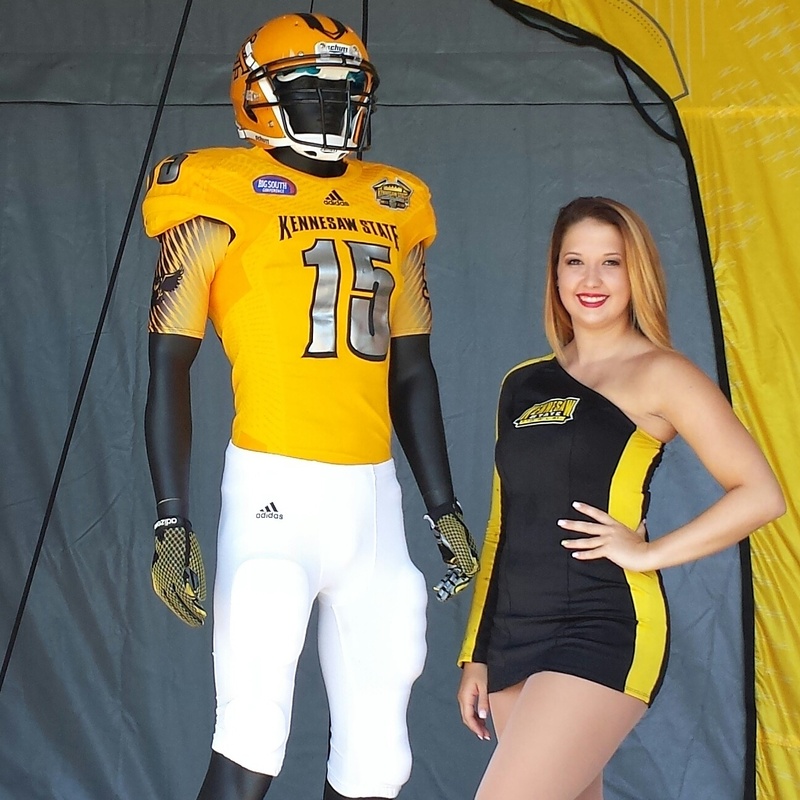 As the uniforms were unveiled the fight song again blasted through a significant sound system and members of the cheer and dance teams ripped off the covering on three versions of the Kennesaw State football uniforms. 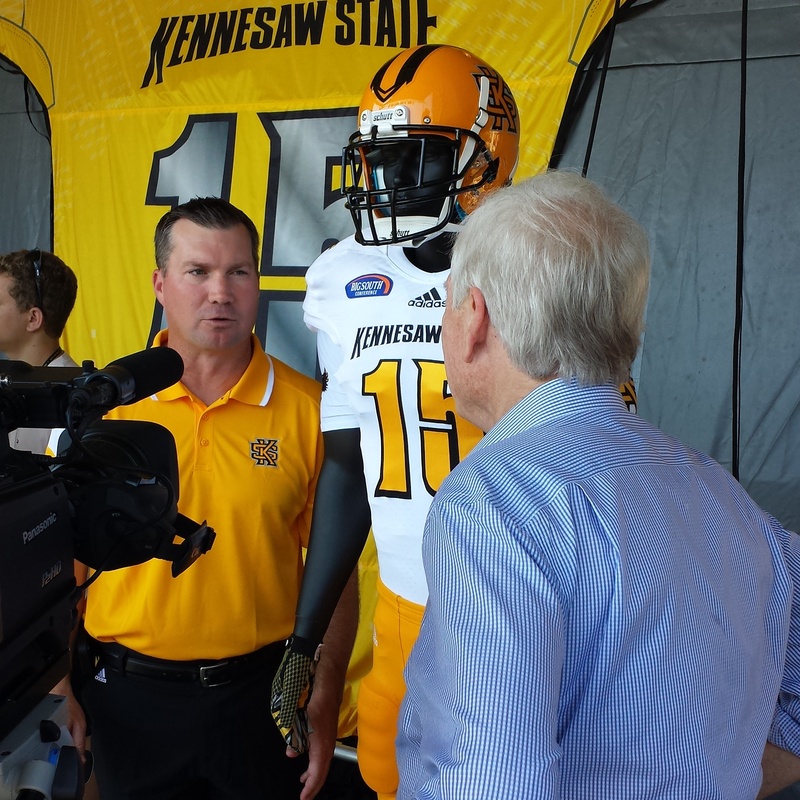 It was one of the more spirited events ever held on campus.There were students, alumni, fans, and a lot of media there for the special day many of Kennesaw State fans have been waiting for. and gold pants. All of the uniforms featured the previously released gold helmet. Head Coach Brian Bohannon said he believes either the black or the gold tops will be worn at home in 5/3 Bank Stadium. He said wearing white at home must be approved and a letter must be sent out to the entire conference. 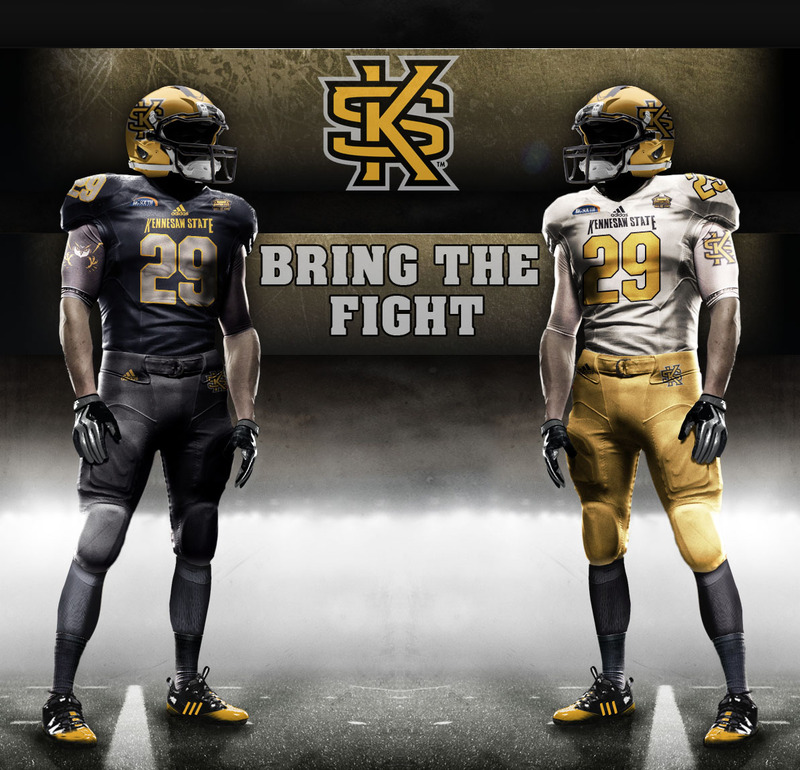 Coach Bohannon also didn’t rule out allowing the players to decide what uniforms they wanted to wear at home. He said the pants will be interchangeable, so a variety of uniform combinations can be expected. The numerals on the uniforms are the more intriguing feature, as the black and gold unis sport the glossy look in silver. The numerals make the uniform pop and add flare to the otherwise traditional football uniforms. 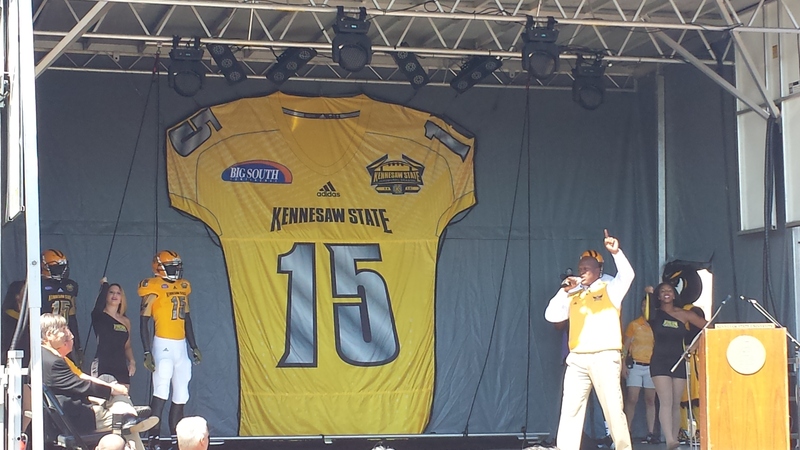 Another great reveal was the Adidas football gloves available to Kennesaw State players. When the hands come together the image of the full owl logo is visible. The alternate gloves had the owl talon logo, which is less known to fans, but very popular among those who have seen it. 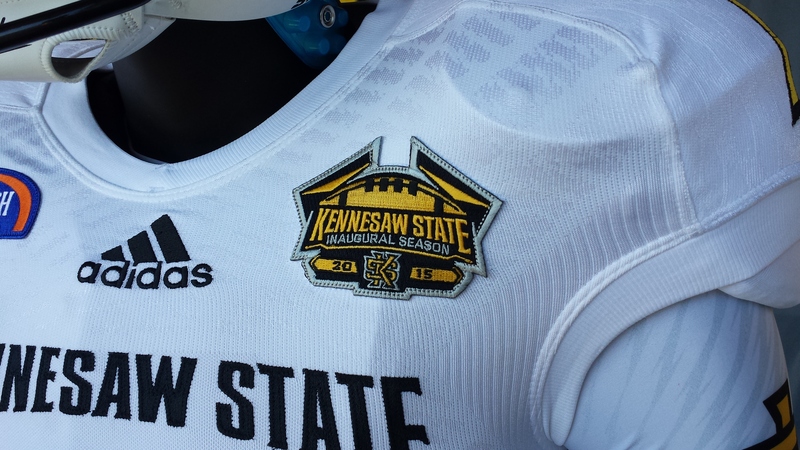 Also unveiled was the patch on the uniform that will mark the inaugural season of Kennesaw State football. The patch will be worn on the left shoulder. The Big South Conference patch will be worn on the right shoulder. 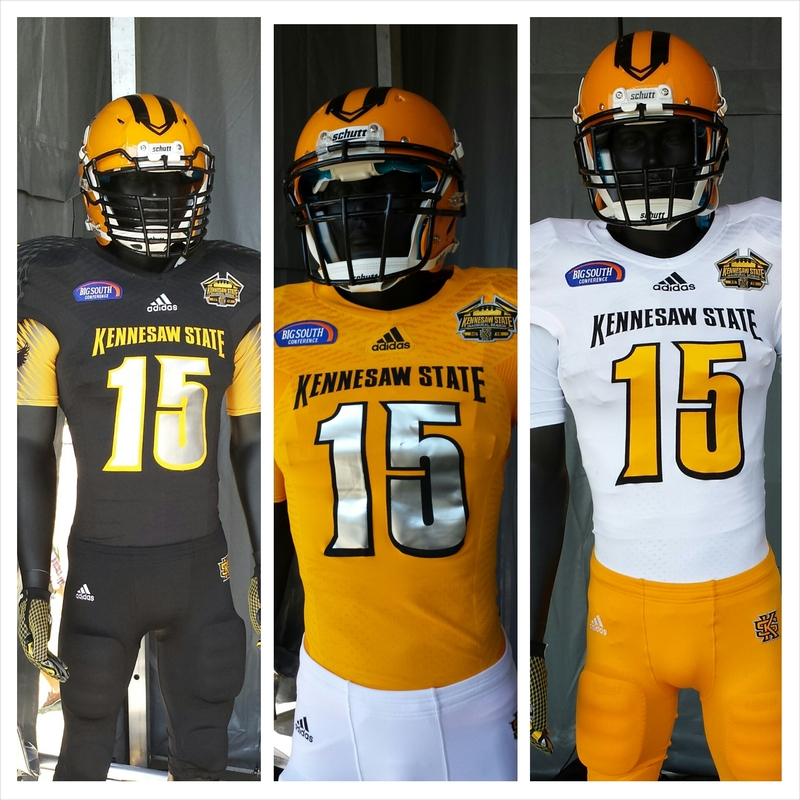 The KSU Bookstore was already stocked with replica black football jerseys for the a $60 price tag. 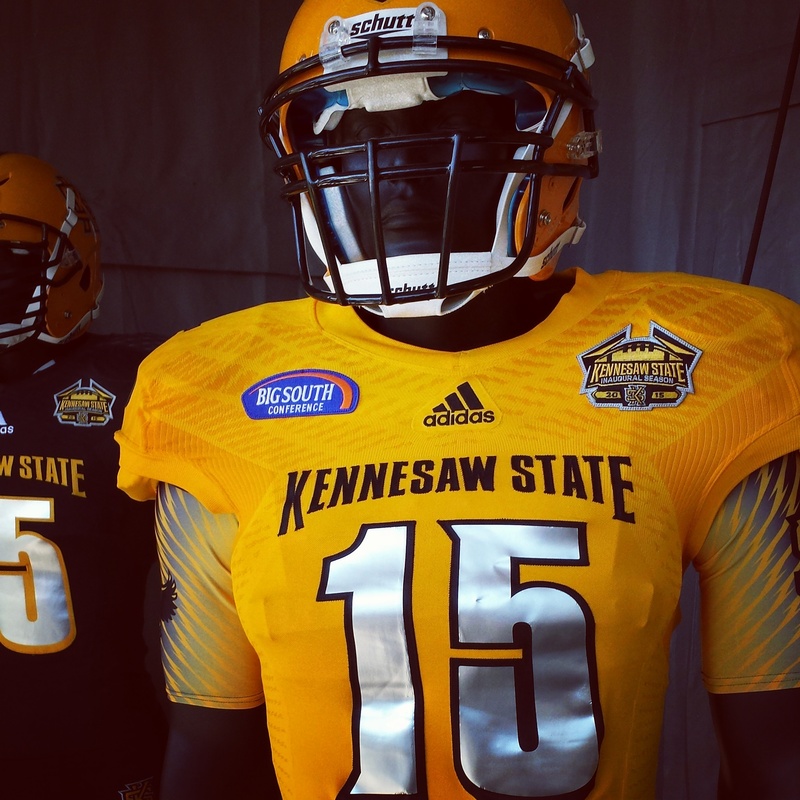 Fans can wear their spirit gear and get their first look at the uniforms in live action in October as Kennesaw State will hold an intra-squad scrimmage game as a part of the 2014 Homecoming events. A Black and Gold spring game is also being organized. Posted on August 31, 2014, in Uncategorized. Bookmark the permalink. Leave a comment.